Those little luxuries add up over time. You know what's easy? Spending money. It's the best way to get what you want right now. Except...this is not sustainable. Those little luxuries add up over time. Sure, it's nice to buy yourself a bagel every morning, but think about how much money you would save by making your own breakfast. Try smarter spending to get your cash flow on track. Pack a lunch for work. Do your own mani-pedi. 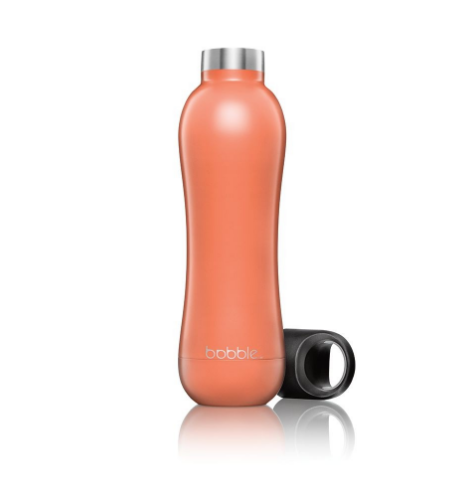 Save on buying water and tea over and over and invest in a bobble Insulate that will keep your drinks as cold or hot as you like 'em. Challenge yourself to be smarter about your spending so when you actually do splurge on yourself, it will be that much more exciting.